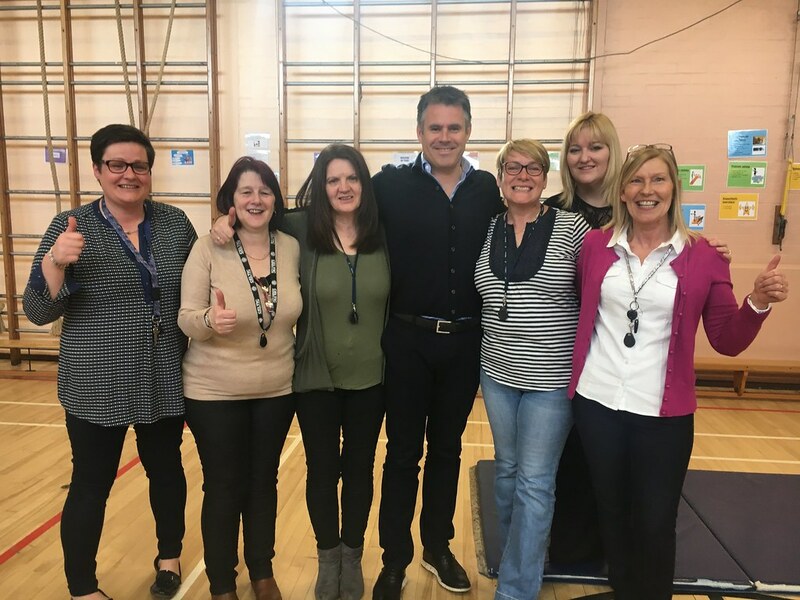 Back to school for Kenny Logan! "St. Luke's is a fantastic school with an amazing group of teachers and assistants lead by Lindsey Walker. It was a big thrill to meet them today and see some of the children doing their physical literacy sessions. I know what a difference these personalised exercises can make to your well being, self esteem and ability to learn - and Midlothian Council and their schools have shown themselves to be willing to go the extra mile and embrace the best ideas. They have recognised that each child needs the help and guidance which best works for them. They know that we need to fit our teaching to the needs of each individual child whenever possible, rather than make every child fit into the same model. So a massive congratulations to Lindsey and her team. They are trailblazers for Scotland. Seeing her kids in action today was an inspiration to me. And a big pick-me-up after the rugby last Saturday!"